In London, restaurant design is surprisingly powerful in its subtlety. 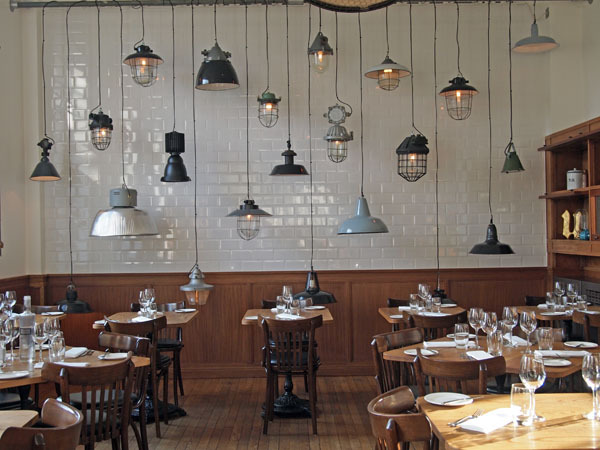 Think, for example, of a restaurant with stripped back lighting, bare walls, white tiles and chrome fixtures. Who do you imagine will dine in such a restaurant? And what kind of food will be served? Now, what about a restaurant with plush banquettes, aged-wood panelling and framed paintings? Has your diner aged by a couple of decades? As in other parts of the western world, a well designed restaurant in London might get mentions in a magazine, gain kudos in awards or even attract the right type of clientèle. Followers of restaurant psychology might even argue that the right restaurant design can increase the average spend of the diner, making restaurant design an incredibly powerful tool for the restaurateur. Meanwhile, restaurant design in China is a wholly different ball game. Here, it’s less about the fine-tuning and more about the turnover. Now, we’re not talking about the European restaurants in Shanghai which aspire to their international counterparts. Nor are we talking about international hotel restaurants which are inspired by a brand identity. Rather, we’re talking about restaurants for the mass market. According to one restaurateur I spoke to last year, a successful restaurant will need to redecorate once every two or three years to maintain a sense of “newness” for its diners. A restaurant that hasn’t been redecorated for seven years or more is basically on its last legs and will have seen dwindling visitor numbers for some years. 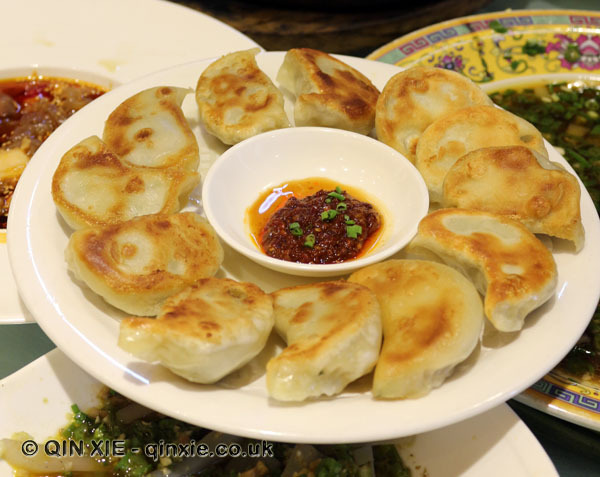 The number of restaurants in China is so incomprehensibly large that the only thing which distinguishes between them is that sense of newness. Here, restaurant design isn’t built to last but rather, just until its shiny edge has worn out. Chinese New Year was once a stay-at-home family affair where everyone huddled around home-made dumpling feasts and watched CCTV’s Spring Festival Gala. In the days preceding the new year, hundreds of thousands of migrant workers would flock home from all over the country, and sometimes the world, for a family reunion. The country would grind to a virtual stand still for the few days of mandatory public holiday. Today, Chinese New Year is a much more varied affair, often taking place at the banqueting tables of restaurants. The fare inevitably varies from region to region but, rest assured, abundance is the theme. The drink of choice is beginning to reflect China’s prosperity in the last few years with more grape wines gracing the banqueting table but toasts still fall back on the traditional baijiu. Chinese New Year is being celebrated in a big way around the world too. International hotel chains, especially those with properties in China, are sharing the celebration at their other properties around the world. For instance, W Hotels is hosting a Chinese New Year party in London, where they have a hotel just by Chinatown, to celebrate the opening of the group’s new Beijing hotel. Hakkasan, meanwhile, is taking inspiration from the wishing tree in Hong Kong and showcasing the theme at its restaurants around the world. Wherever Chinese New Year is celebrated, there are a few similarities. Red, the most auspicious colour in Chinese culture, is used liberally whether in decorations, table coverings or little red envelopes. Symbols of prosperity such as the Chinese character 福, whole fish and lucky plants can always be found close at hand. But most importantly, Chinese New Year remains a family-focussed occasion so expect multiple generations gathering at one dinner table.